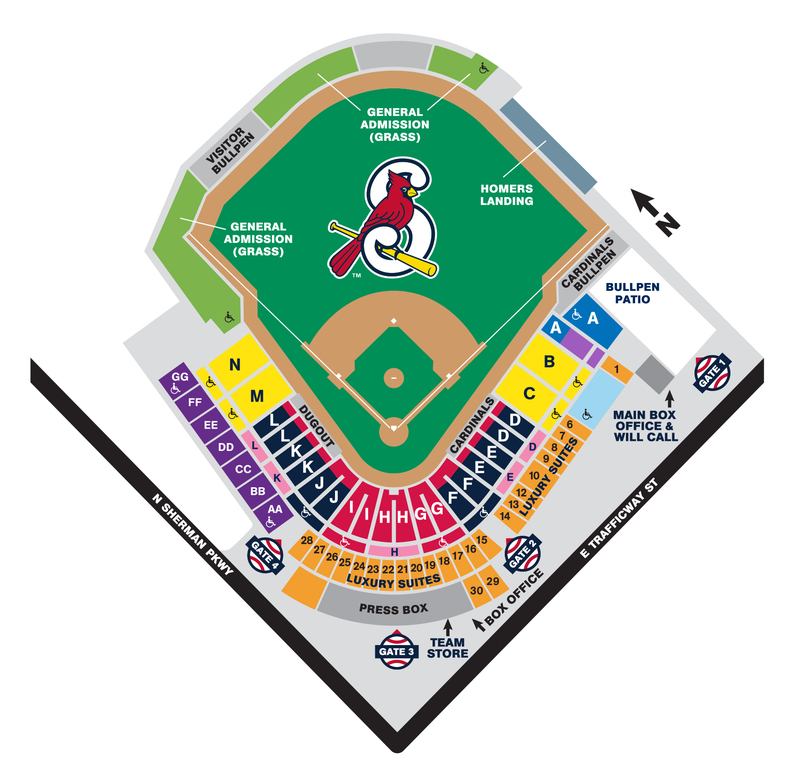 All memberships include Access to every regular season Cardinals home game through the new Bypass Gate in addition to at least 2 games per month in the same reserved stadium seat. Access to Flex Pay options of 5 months, 3 months or Pay in Full. Access to membership decal and 20% Team Store discount. Pre-Exchange Privilege -- An exchange of a ticket at least one business day prior to the date printed on the ticket. This will allow you to exchange your reserved seat ticket for another ticket in a similar seating area, based on availability. Pre-exchanges can be exchanged into any game, in same seating area without any charge for moving to premium games. No exchange fees when done at the box office. Due to contractual obligations through Minor League Baseball, there will be a small service fee for online exchanges. Post-Exchange Prvilege -- An exchange of a ticket after that game has occurred for any regular season game based on availability. However, the original ticket will remain as a paid ticket in the original game, therefore, we will give you a complimentary ticket, equivalent to the seat you have (i.e. Diamond to Diamond, Dugout to Dugout, etc.). Upgrades and online exchanges will not be available for this program. All-inclusive ticket holders (SpringNet Champions Club, Expedia Redbird Roost and Big Mac Land) will receive a Diamond Box ticket for any un-used tickets. There is a food cost associated with these tickets and the food was prepared and accounted for in the original game, therefore we cannot offer an all-inclusive ticket as a replacement.